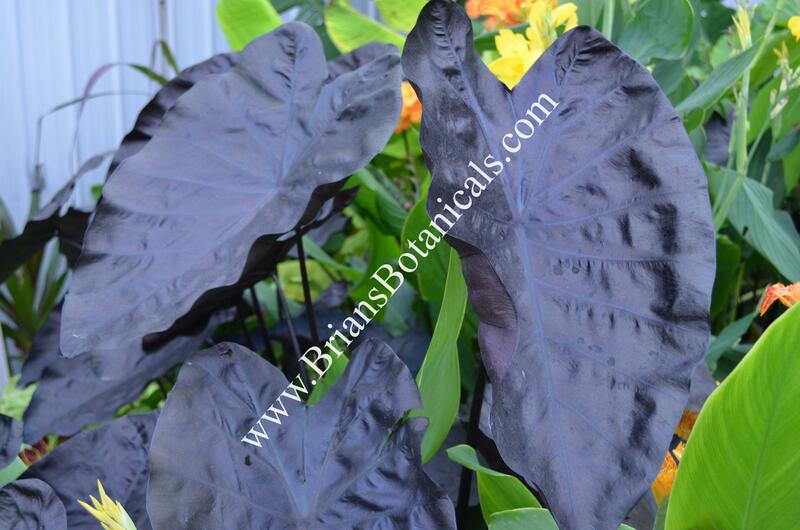 With leaves being the most important ornamental trait of Colocasias, the dark-black leaves of Painted Black Gecko?PP27,733 are certain to grab your attention! 3-4′ clumps catch and reflect the light with a shimmering iridescence, offering a unique look between the black tops and the undersides of the leaves, which vary from maroon to gray in color. A moderate grower, Painted Gecko is easy to find a spot for, and can be used anywhere you would plant Caladiums for that contrasting color only elephant ears can offer.